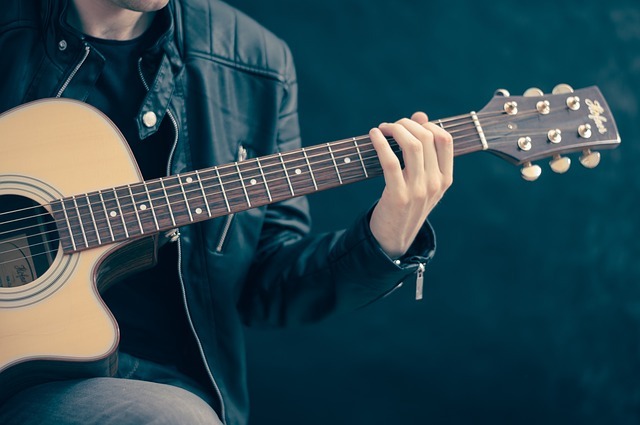 If you wish to get into music but aren’t sure which instrument you’d like to play – the guitar might be the right choice for you. Unlike with many other instruments, our guitar students enjoy learning to play their favourite songs using the instrument they were meant to be played with. This greatly adds to the drive our students have to learn. If you are beginning to take lessons or just picking up a guitar for the first time, we highly recommend beginning with an Acoustic Guitar. Acoustics are better for learning the essential techniques that you will use throughout your learning progression. The strings of an acoustic produce a more detailed sound, causing the differences in styles to be much more apparent, which makes learning easier. These distinctions are a key component of the successful learning process. While Electric Guitars are still a suitable option to learn on, they tend to hide a lot of the nuances of the sound. Electrics can also be more expensive in regard to the initial outlay required. Our certified guitar lesson instructor, Scott, believes that a motivated student makes the best learner. Scott begins his guitar lessons focusing on technique and music theory but quickly progresses to what makes the guitar such a great instrument to learn – playing the music we all love. Scott allows every student to progress at their own pace, while stressing the fundamentals that promote progression and successful learning. Our other guitar teachers, Megan Worthy and Jordan Circosta also work to make every lesson enjoyable while teaching valuable skills. At Upbeat, we offer complimentary introductory guitar lessons in Toronto for students of all ages. If you’ve got the urge to strum, give us a call.